The ship that started it all: the venerable Norwegian Sky. Photo courtesy of Norwegian Cruise Line. The 77,104-ton, 2,004-guest Norwegian Sky was the first new ship NCL built in its modern era, as it carved out its place among the major cruise players. 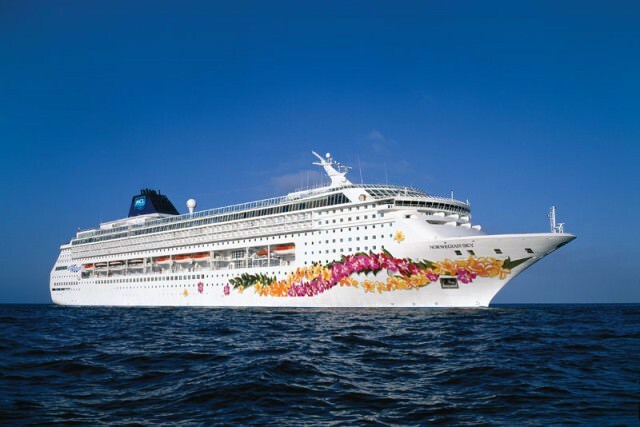 Launched in 1999, she spent several years in the middle of the next decade renamed Pride of Aloha and sailing Hawaiian itineraries, then returned to her original name in late 2008. In 2009 she got a major refurbishment that updated her interior decor, making her much more fresh and exciting than her age would suggest. 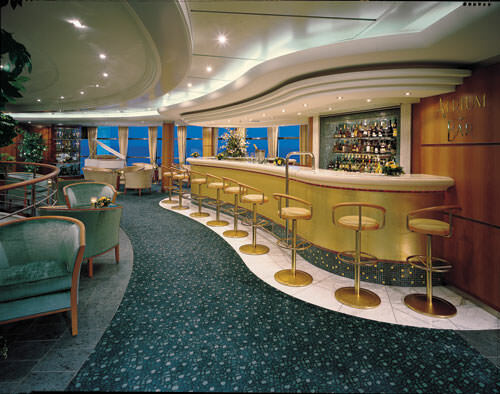 Sky offers a number of attractive bars and lounges, including the Plantation Club, a bright, Hawaiian-themed lounge on the top deck, specializing in champagne; Captain Cook’s, a dark, clubby bar on Deck 6; Dazzles Nightclub, a cabaret and disco; the bright Atrium Bar for vodka, champagne, and piano music; and the aforementioned Longboard Bar, a large sports bar way up on Deck 11. The Stardust Lounge is the venue for NCL’s normally high-quality production shows, and the Outrigger Observation Lounge on Deck 11 turns into a disco once the sun dips over the horizon. Other public rooms include library, an Internet center, and several shops. Kids get a cavernous play room up toward the bow on Deck 7, plus an outdoor pool area on Deck 12 with a kid-size pool, a hot tub, a waterfall, and some cute kid-size deck chairs. 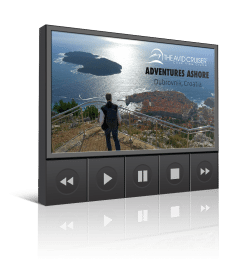 Teens get their own room on Deck 11 for movies, games, and hanging out. 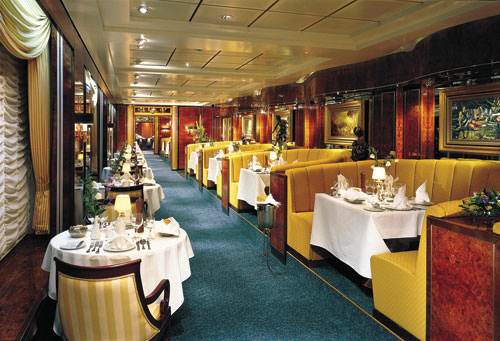 Le Bistro, one of the most attractive dining rooms at sea. Photo courtesy of Norwegian Cruise Line. 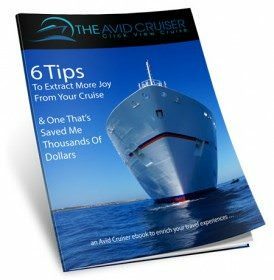 The ship’s main pool area, on Deck 11, offers two pools, four hot tubs, a bar, a dance floor, and an old-fashioned kind of cruise ship vibe: nothing too flashy, just teak decks and deck chairs, with a basketball/volleyball court perched one deck above. Farther forward is the Balinese-inspired Body Waves Spa and Fitness Center. Joggers and walkers can do their thing on the full-circuit promenade on Deck 6, and there’s a pair of golf driving nets on Deck 12. Sky’s oceanview and balcony staterooms are done up with a simple, almost old-fashioned look , all creamy white walls, blonde woods, and accents of color in the bedding and curtains. Outsides measure a tiny 149 square feet, while balcony staterooms measure in at 202 square feet. All offer limited closet/storage space and smallish bathrooms with tiny showers and little space to store toiletries. Balconies are designed differently from the cruise ship norm, accessed via a single door that sits next to a large round window. There are four different levels of suites, from the 402-square-foot Mini-Suites to the 835-square-foot Owner’s Suite, with its separate bedroom and living/dining room, bathroom with whirlpool tub, and huge balcony with a second whirlpool.